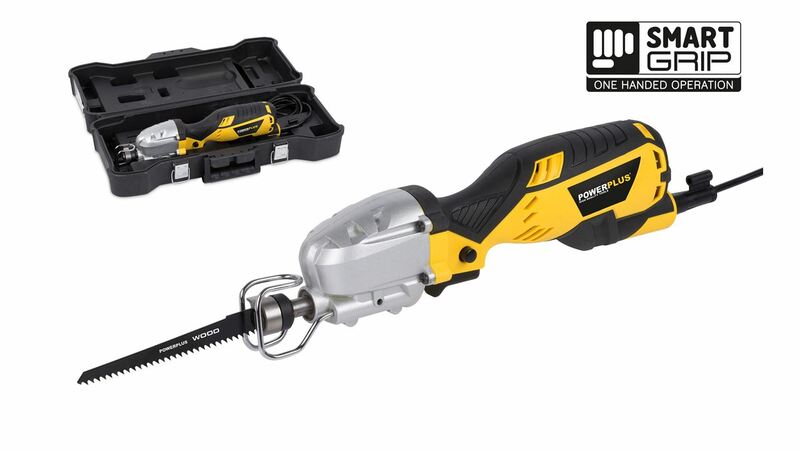 It can cut branches, wooden shelves, … up to 115mm deep with its included 150mm blade. With the right blade, this reciprocating saw can also cut through metal, plastics and plaster. There are many compatible saw blades available in the range of Kreator accessories. The POWX1415 has a rotation speed up to 3500min 1. To set the optimised speed per job, there is a convenient electronic speed control. The saw also features a blade protection and a quickrelease blade clamp system that allows you to change blades easily and quickly. The reciprocating saw with aluminum gearbox has a compact and lightweight design for easy control and optimum comfort. Its small size and central ergonomic slim grip guarantees a safe and secure one-handed use.